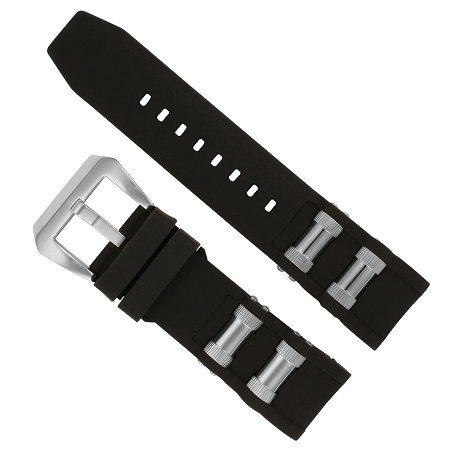 Generic black polyurethane watch band with stainless steel barrel inserts and a buckle clasp. Strap has eight adjustment holes. 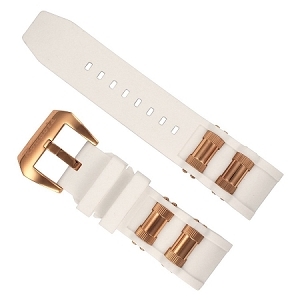 This replacement band will fit the Invicta 1088 and 1843 Russian Diver skeleton watch. Will also fit Invicta models 4342, 1433, 1435, 4578, 1800, 1434, 1798, 1202, 0803, 1799, F0040, 1595, 7327, 10134. This aftermarket band only has one set of holes for the spring card pins, not two like the original band.